What Are the Differences Between Turtles and Tortoises As Pets? While dogs and cats are still the undeniable pet champs in terms of sheer worldwide statistics, reptiles weigh in at a robust 13.4 million here in the United States alone. And in Australia, the turtle is the single most popular pet countrywide. 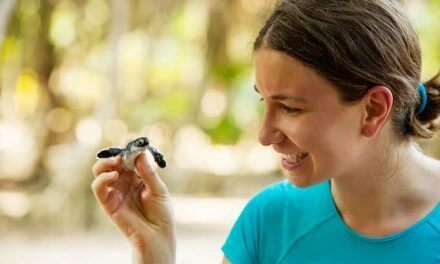 Spend even a small amount of time with a turtle or a tortoise and it’s not hard to see why they are showing up as pets in households all over the world. They are simply fascinating! 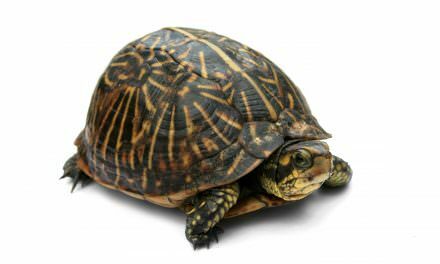 No other creature on earth carries its entire home on its back to the extent that a tortoise or a turtle does. Both reticent and social, friendly and feral, intelligent and quixotic, just when these shelled reptiles start to make sense, they….don’t. All of which adds up to mean that bringing a turtle or tort home as a pet is about as close as most of us will ever get to meeting an alien from another planet. But caring for a captive turtle or tortoise isn’t as easy or as cheap as many make it out to be. In fact, the opposite is more often the case, and even more so depending on which species you select. As well, while baby turtles and torts are as cute as little four-legged buttons, blink your eyes and you may discover you have a room-sized, farting, pooping dinosaur living in your spare bedroom or out on your back porch. In this post, we will take a look at turtle vs tortoise from a pets-eye view so you can get a better sense of how to choose the species that will make the best pet for your unique situation. In our quest to match you with the perfect reptilian pet, let’s start with the most basic brass tacks question. What is the difference between a tortoise vs turtle? Do You Want a Hatchling or an Adult Reptile? This is your next big question. Do you want to get a baby or an adult? Babies come with no history, so you will know everything about your new pet as you grow together. You can bond with your new pet from day 1 (or at least day 30 or so). You will get an education in reptile-keeping unlike any other. You may have to wait years to learn the gender of your new pet. Babies have less well-developed immune systems (which may mean more frequent and expensive visits to the veterinarian). Babies often seem oblivious of even obvious dangers and need a lot of watching during bathing and playtime in particular. Adults can often be housed outdoors (so long as the habitat is secure from predators). Adults have well-developed immune systems (aka fewer vet visits). Adults can be much cheaper to acquire (especially rescues). You will probably be able to know the gender of your new pet before you bring it home. 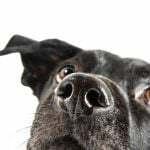 You may not know anything about your pet’s history (especially with rescues). You may find an adult less receptive to handling or taming. You may not ever know exactly how old your new pet is. Because this is such an important decision, it is best to make a choice between a baby and an adult early on, before you start researching other options for your new tortoise vs turtle pet. NOTE: If you have dogs or young children in your household, please proceed with extreme caution in bringing home a turtle or tortoise for a pet. Both dogs and young children MUST be supervised around turtles and tortoises at ALL times or there is a strong risk of harm to one or all. The next consideration is all about available space and time. 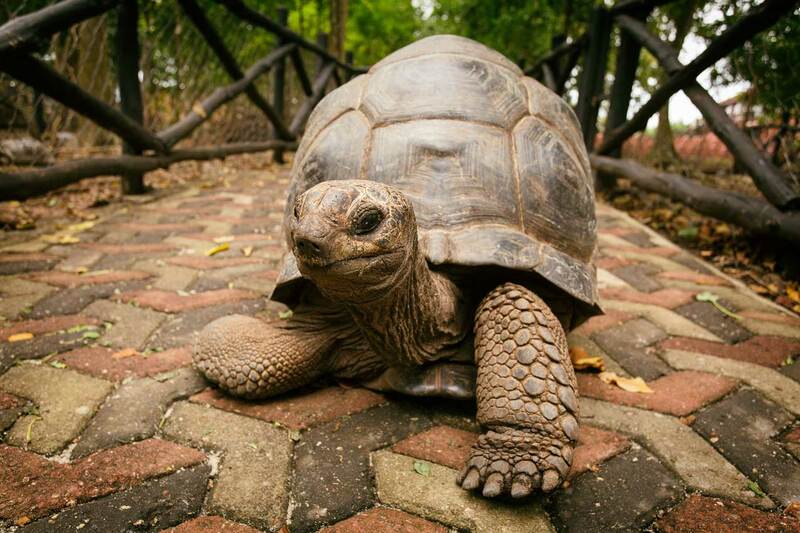 Some turtles and tortoises won’t ever grow beyond a foot long while others can grow up to six feet or longer! You absolutely want to know your new pet’s expected length, width and (very important) weight at adulthood. You also want to know when “adulthood” typically occurs for your chosen species so you know how long you have to make any required future upgrades – is it after 3 years? 6 years? 10 years? Another consideration is lifespan. Many turtles in particularly will live two or three decades, but some tortoises can live into the hundreds (as of 2016, the oldest living tortoise, Jonathan, is a whopping 183 years young!). 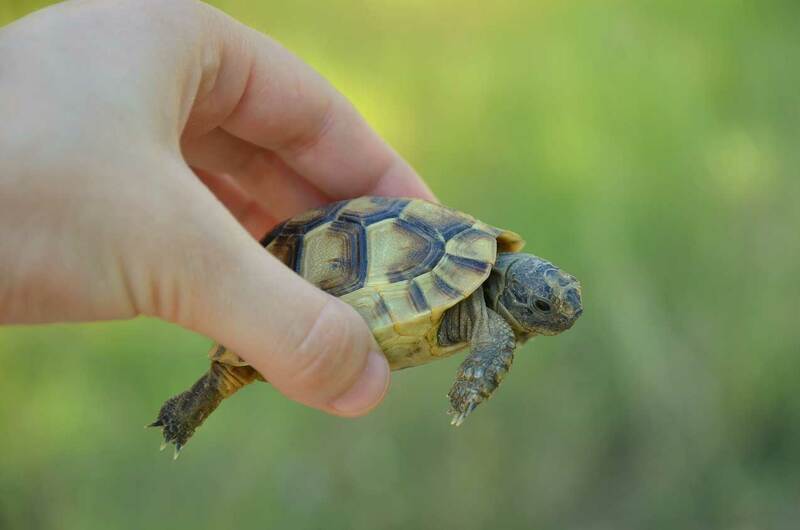 If you plan to bring home a shelled pet that will grow to a great size or live for a very long time, you will need to consider in advance how to provide for your pet if they outgrow and/or outlive you! 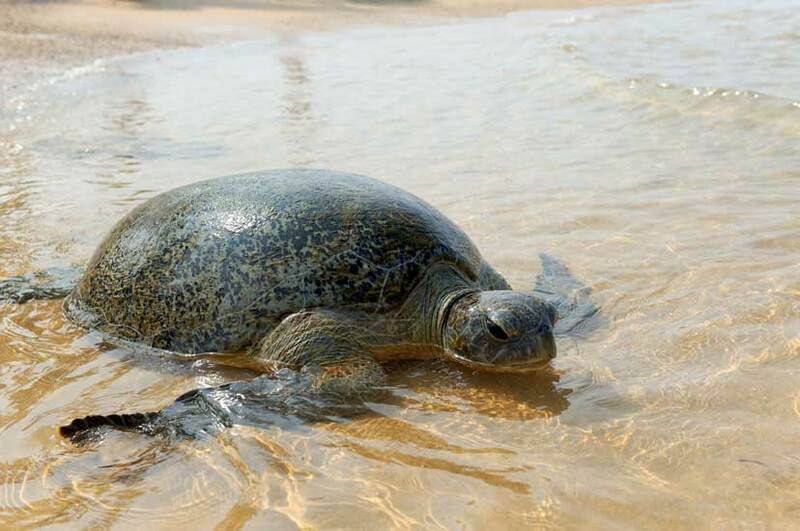 In general (certain species anomalies excepting), turtles and terrapins will require a habitat that is water-based. This translates to mean that 60-80 percent of the enclosure must be suitable for swimming, with a smaller area of 20-40 percent reserved for basking and hiding (the exact percentage will depend on the specific species you select). Tortoises, on the other hand, will require a habitat that is land-based. This means 80-90 percent of the enclosure must be land-based, with 10 percent reserved for a SHALLOW dish or pond for bathing, drinking and soaking. Tortoises can drown if the water is too deep – they are not good swimmers! Thanks to a thriving demand for turtles and tortoises as pets, there is now a good body of information regarding which species tend to do better in captivity. If possible, always try to match your local geographic climate with the native climate of your prospective shelled pet. For example, if you live in humid Texas, you will fare better by choosing a tropical, humidity-loving pet. If you live in arid New Mexico, a desert species is a better fit for sure. Wood turtle (also Ornate or central American Wood turtle). Red-foot tortoise (also cherry head tortoise). Any turtle with “snapping” in its name! Musk turtle (they get their nickname of “stinkpot turtle” for a reason). Softshell turtles – especially females. Diamondback terrapin (unless you are very experienced, it can be quite difficult to get their water salinity level needs right). 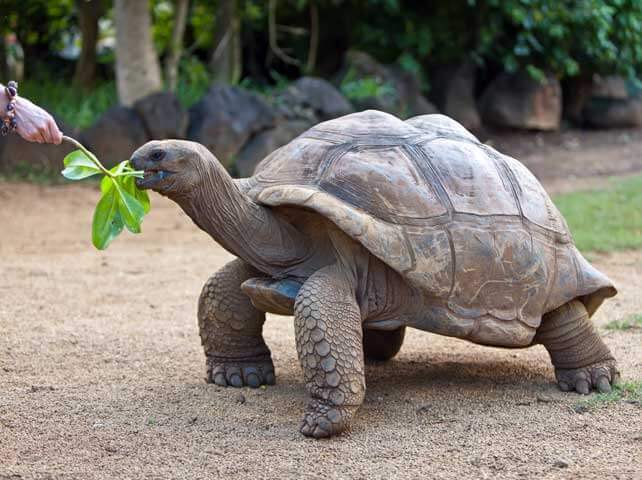 Aldabra tortoises (they get VERY big and live a VERY long time!). Sulcata (African Spurred) tortoises (they get VERY big and live a VERY long time!). 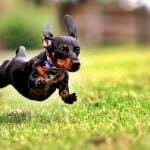 Apart from simple issues of baby vs adult or water vs land, there are some additional critical factors that can set you up for success – or not – as a new shelled pet owner. 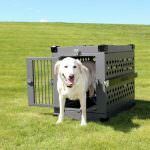 Both you and your new pet stand to benefit when you think through these factors in advance. Reptiles of any kind can be amazingly, stupendously expensive. 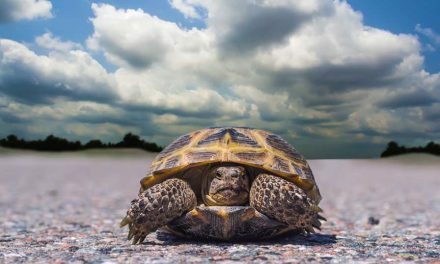 The more “exotic” your turtle or tortoise’s requirements are, and the less well-matched your pet is with your local climate, the more it will likely cost you to care for your pet. As well, as your new turtle or tortoise grows, it will probably need all kinds of upgrades and habitat modifications, including (for many species) the eventual conversion to an outdoor permanent predator-proof enrichment area or habitat. Finding a qualified, trained veterinarian who treats exotics can be very challenging. It is good to check on this BEFORE you bring home a turtle or tortoise! 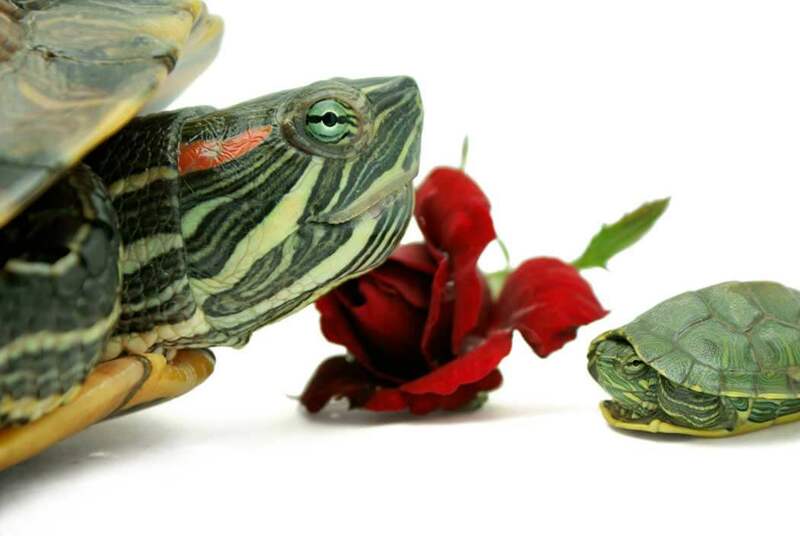 Turtles and tortoises, contrary to many sources, are NOT “low maintenance” pets! Just cleaning the enclosure and changing the substrate (bedding) and water can take a couple of hours weekly depending on the size of the habitat. Then you need to add in feeding, enrichment, vet visits….it all adds up. Speaking of feeding, many turtles and some tortoises are omnivorous, which means that in addition to greens and fruits, they need protein. Some need more protein than others, and some do better with a certain amount of live protein. If this thought makes your stomach flip, be sure to check on the dietary requirements of any turtle or tort you consider for a pet! Unless your turtle or tort is guaranteed to stay pint-sized for life (and very few species do), you will need space. For some species, you will need LOTS of space. You may need both indoor and outdoor space depending on your specific pet’s unique needs. Some species of turtles and tortoises hibernate in the wild. Supervising the hibernation needs of a turtle or tort in captivity is not generally considered a task for a beginner. So be sure to check about whether hibernation will be a requirement before you bring home a new turtle or tortoise pet! In Summary: Tortoise Vs Turtle – It’s Your Call! Even if you are a seasoned turtle and tortoise keeper, mistakes happen. If you are new to the whole keeping-a-shelled-reptile-in-captivity thing, well, mistakes will happen. Count on it. Evaluate your life: Are you pregnant? Thinking of conceiving? Does your household include dogs and/or young kids? If you answered ‘yes’ to any of these questions, ask yourself if now is the right moment to bring home a new tortoise or turtle. Baby vs adult pet: Consider whether you have a strong preference for a hatchling or young pet versus an adult. Qualified vet: Is there a qualified exotic vet specialist in your local area? If not, you may want to reconsider choosing a turtle or tortoise for a pet. Know where to shop (and where not to look): Due to ongoing conservation efforts, it is critical that you do not “shop” in the local pond or forest – or even the side of the road – for your new pet!! 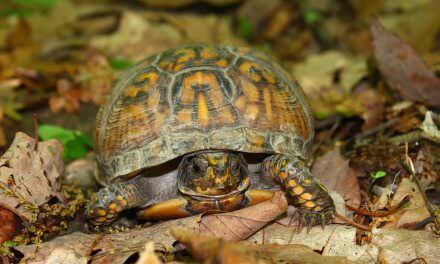 Rather, seek out local rescue shelters, breeders and pet shops as sources to find your new pet turtle or tortoise. Turtle vs tortoise: Here, your choice is water vs land, plus as close a match between your shelled pet’s native natural climate and your local climate as you can manage, plus any cost and space issues that may make providing the right habitat less or more challenging. Species: Once you know whether you are seeking a turtle (water) or a tortoise (land) pet, you can hone in on the specific species. The list provided here can be helpful, but also talk with local herpetologists (reptile experts), your local exotic vet, local breeders and pet stores – just gather as much information as you can before making your final choice. Final check: Finally, the moment you have your new shelled pet in hand, head right for your local exotic vet and order a thorough physical check-up. 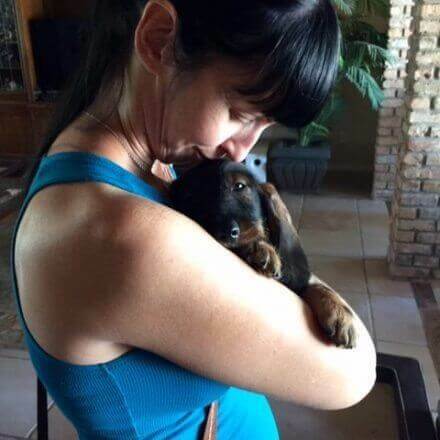 You want to ensure you have a healthy new pet right from day one. Whatever you do decide, please do not skip this step! 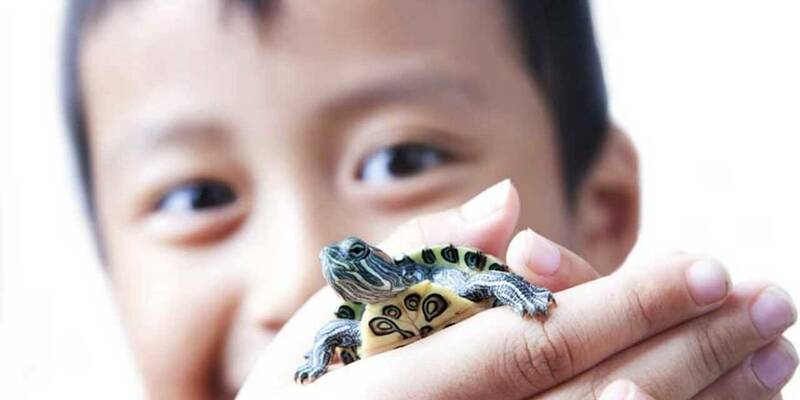 With the help of these guidelines and other resources in your local area, you can look forward to the day you bring your new healthy turtle or tortoise home to start a long, wonderful life together.